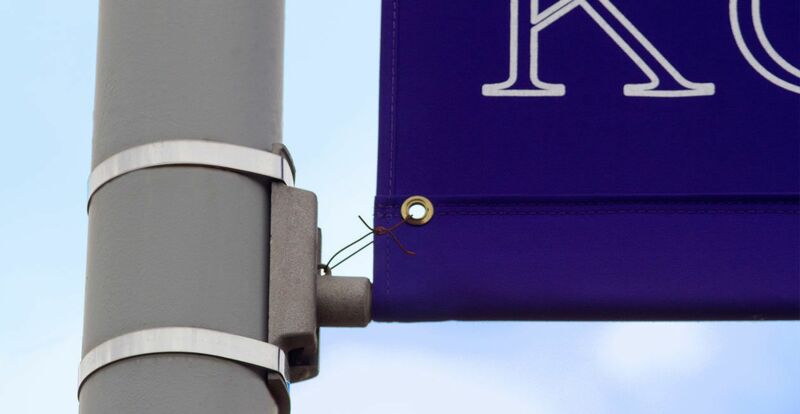 College and university towns almost always have street pole banners lining the streets near the college campus. Oftentimes they’re sports oriented complete with the school mascot or featuring pictures of students and branding. For cities and towns without college campuses, it’s not uncommon to find sports banners complete with mascots, as well. 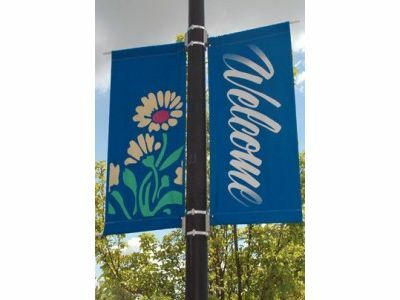 You may have noticed in your own town or city or as you’re traveling that many downtown areas feature banners lining the streets to welcome residents and visitors alike. These banners are a way to convey what the town is about. If it’s a farming community there may be tractors or an arts community that features music notes. Many business owners elect to have banners in downtown areas so that their business is easy to spot. If you’re traveling around in a car, you may not always see the signage on the building, so a street pole banner is a great way to reinforce branding and stand out to community members and visitors. These festive street pole banners are popular all over the country. Whether they’re signaling the change of the seasons or reflecting a popular holiday that is near, these banners are sure to brighten residents’ and travelers’ day. At BannerFlex, we have the highest quality, most durable banner bracket hardware in the industry. Our banner bracket hardware is at its best when paired with street pole banners from our banner company Kalamazoo Banner Works. If you’re in the market for banners or hardware, do not hesitate to contact BannerFlex today!